15 ways to flawless skin. Conventional wisdom says eight glasses of water a day are plenty, but medical esthetician, Peggi Sobota. recommends a new formula: taking your body weight and dividing that number in half to get the number of ounces of water you should be drinking each day (for example, a 150-pound woman should consume 75 ounces daily). Although you might not see instant results, Sobota says many women see a difference in just a few short days. It is a truly effective exfoliator-most other scrubs should be trashed. When we're young, our skin cells turn over about every 28 days. But as we age, cells turn over 35, 40, or even every 50 days. What you need are products and treatments [like microdermabrasion] that prompt skin to turnover and essentially trick it into thinking it is younger." You need sunscreen, but not tons of it. Using sunscreen daily is one of the very first changes you should make to improve your skin. A moisturizer-sunscreen combination is recommended. All you only need a shot glass-size amount to cover the entire body, which means the amount that goes on your face is about the size of a quarter," she says. 4. Protect yourself against the sun, even when you're inside. Even if you're sitting in a cubicle all day, you could be getting exposure to sunlight that can damage and age your skin. "If you sit near a window, UVA rays can come through and take a toll on your skin. There's even some evidence that fluorescent lighting can have an impact. It just doesn't cut it. "It's a nice try, a good buffer, but the amount of SPF in makeup and what you get in sunscreen are not equal," Sobota says. If you're prone to breakouts during summer months, Dr. Schweiger suggests using a tinted moisturizer-it's a great option for people with sensitive skin or those who want lighter-weight coverage for blemishes or acne scarring because it allows you to use fewer products. 6. Your chest, neck, and back need SPF love, too. Spectacular skin isn't just about the face. Sobota says you shouldn't stop at your jawline when you're addressing blemishes, wrinkles, dryness, or other issues. Whatever sunscreen or moisturizer or cleanser you use on your face, you should use on your neck and chest and back! The most simple remedy for lightening dark circles and decreasing puffiness under the eyes-two of her patients' most common complaints-is splashing cold water on your face first thing in the morning, which shrinks the blood vessels and decreases eye puffiness. More is actually worse Retinol is a form of vitamin A that is used to combat acne as well as the signs of aging by spurring skin turnover and increasing collagen. People might be tempted to apply it often and that will only irritate the skin more. 9. Workouts don't have to lead to breakouts. If you're one of those people who feels great about exercising, but not so great about the breakouts you get from excessive sweating, you don't have to sacrifice your time on the treadmill for fabulous skin. Acne-prone exercisers might just find the solution in the gym locker room. Right after your workout, shower or wash your face right there at the gym. And since you're already there, take advantage of the gym's steam room for a few minutes. This will open up pores and reduce your chance of breaking out. 10. Get your vitamin C.
And not just in your diet. Eating lots of broccoli or adding orange juice to your morning meal may help your body ward off cardiovascular disease and boost your health, but to really see the benefits of Vitamin C on your skin, you have to apply it topically. Vitamin C is a powerful antioxidant which fights free-radical damage and makes it wonderful for anti-aging. 11. You don't need lots of products, you just need the right ones. Being honest about getting older and "upping the ante"-that is, investing in a few clinical-grade products rather than creams out of the bargain bin-will help older women hold on to a youthful glow. And taking skin protection seriously will help younger people develop healthy habits that could lead to a lifetime of smooth, supple skin. Remember, adequate sleep has no substitute as the skin tissues are renewed during sleep. Therefore for freshness, sleep is a must. Otherwise the skin tends to have a dull, sallow and puffy look. 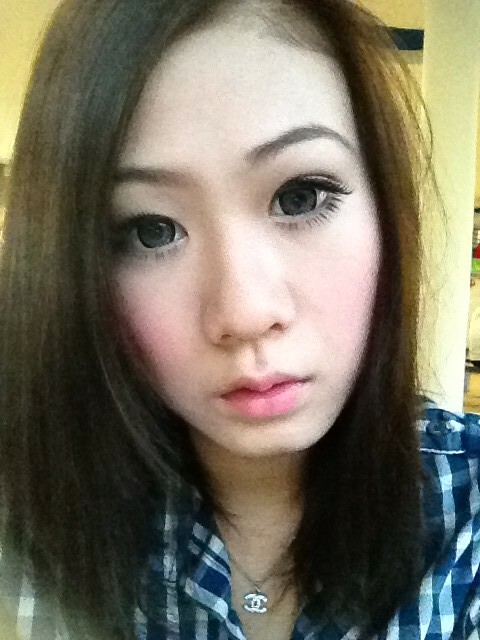 Do not forget to remove make-up before going to bed, as the pores are blocked. Washing the skin with water number of times a day helps in keeping skin fresh and supple. Avoid using make-up for at least one day every week to allow your skin to breathe. This helps to keep the pores of your skin free from any blockage. Scrub a half of lemon on your face daily to lighten your skin tone. Lemon is an excellent bleaching agent, and it is very helpful in ironing out the blemishes of the face. Try this home remedy for fairer skin. And so, since i'm on the topic on flawless skin, i recently received this pot of whitening mask which was pretty good so i thought i would share! 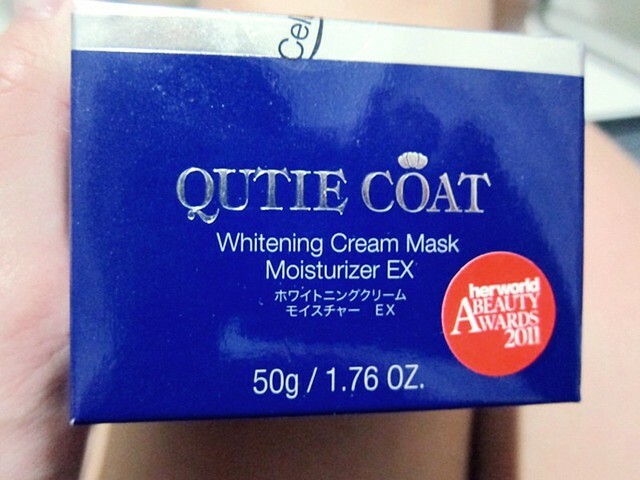 Qutie Coat Whitening Cream Mask Moisturizer EX is awarded by Her World magazine. Gained Recognition at Beauty Awards 2011 by Her World! picking up a generous amount! It's not my usual face masks so here's how to use it! 2) Massage on to the skin for 40 secs in circular motion! 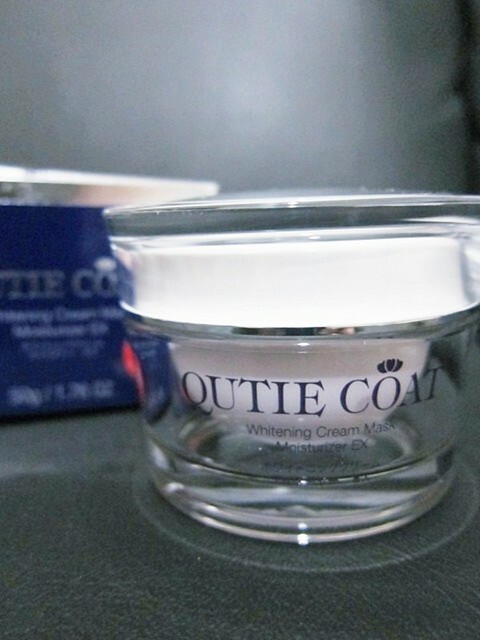 The benefits of Qutie Coat Whitening Cream Mask Moisturizer EX are Whitening, No peeling and bleaching, Moisturizing, aids and prevents pigmentations/scars, radiant glow to the skin and most importantly it provesfast result - 40sec! 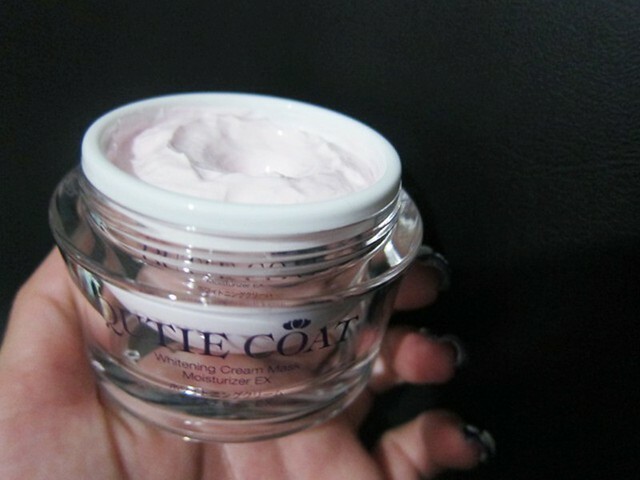 And most importantly, it's suitable for all skin types which means sensitive skin ladies do not have to worry. 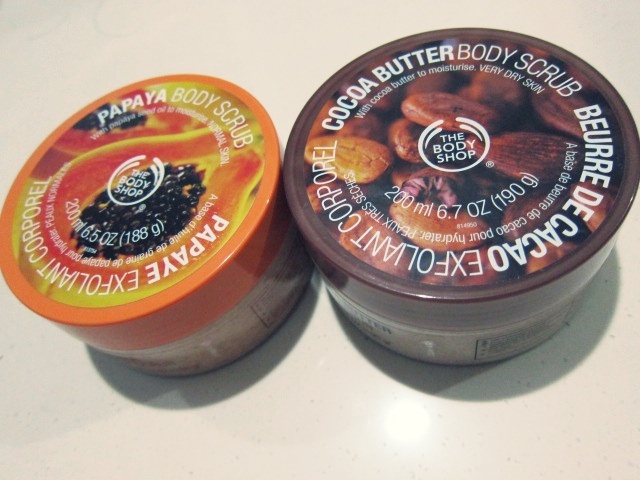 There's a body shop sale at Tiong Bahru and i thought i get some body scrub! They have tons of scrubs there, for different skin type. 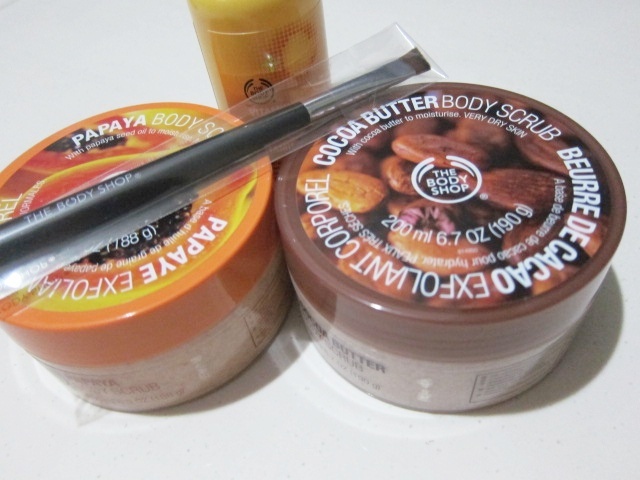 Cause i have dry skin, i was recommended Cocoa Butter and Papaya! Using the Papaya one now and i love it! 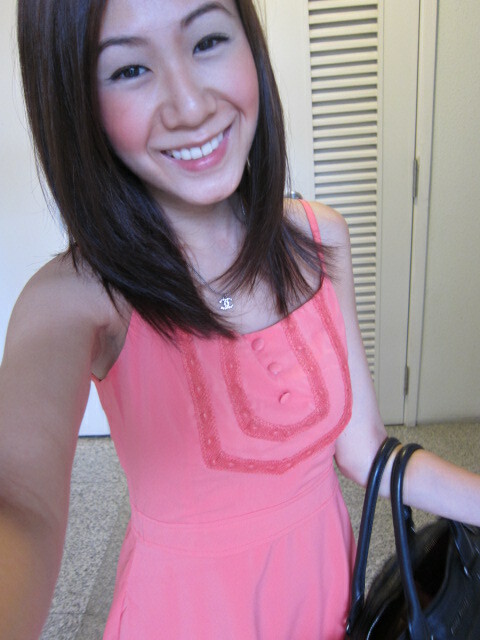 Backtrack to some pictures taken in the day. A few pictures in the toilet. 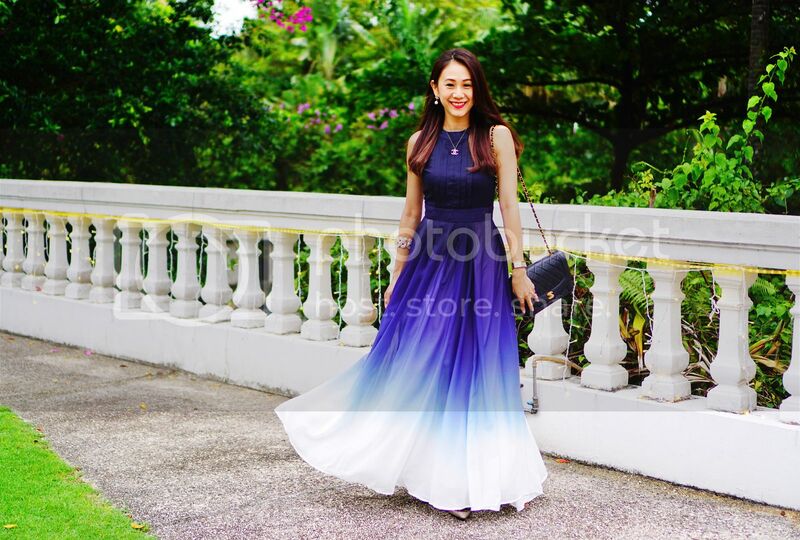 Promo: zoespecial to receive $1 off the dress. 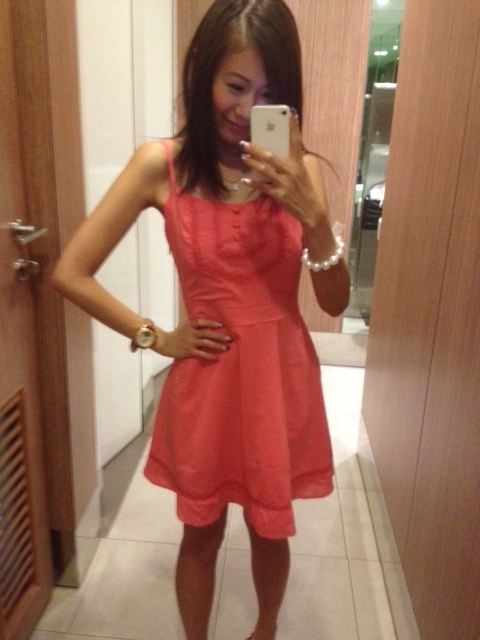 Not my first dress from them, and still loving it! Love the embroidery details of this candy coral number. My favorite feature got to be the back design, which doesnt show your lingerie at all. May I know what bottom lash u use on this post? Thanks. Zoe.. Why are you so fake?? 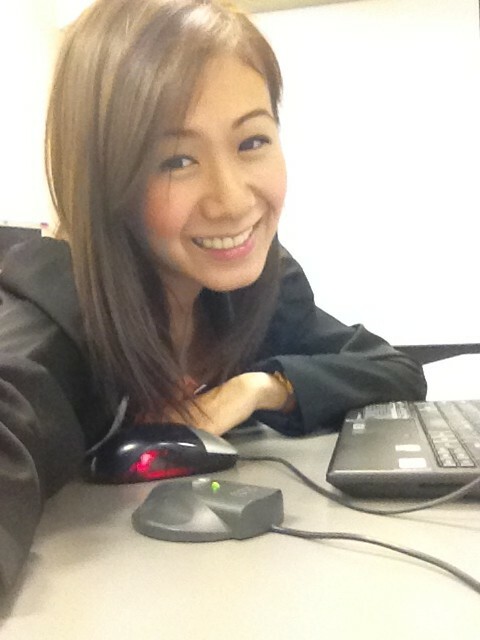 Hi zoe, may I know your personal and true thoughts about Angeli catering? Is the food really good? Thanks in advance. May I know where did you get your floral head band in this post?